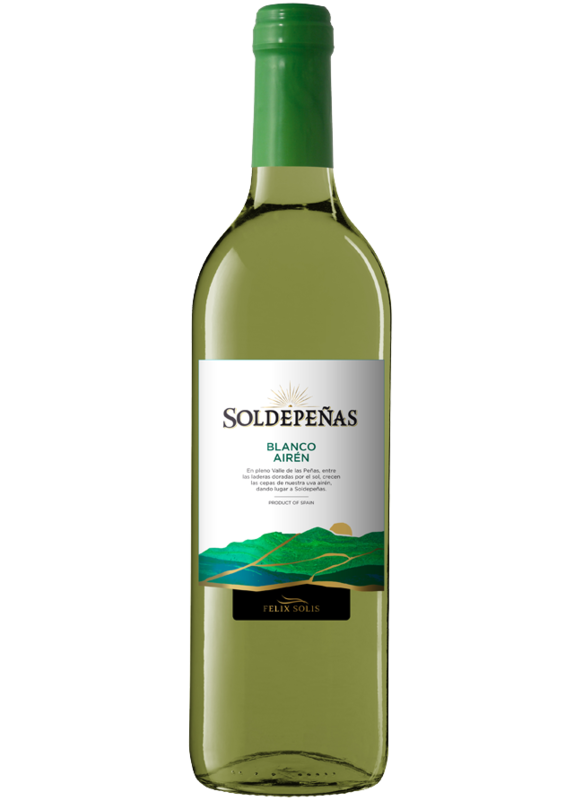 White Soldepeñas takes its name of the place where it is made: the sunny Valley of the Stones, the old name of Valdepeñas, the valley of the river Jabalon. The wine is made from Airen, the indigenous grape from Castilla-La Mancha. This wine stands out for its pale yellow colour. A fragrant nose of perfumed and fruit aromas. It exhibits a fresh, fruity and lively palate. It is ideal to accompany light dishes, especially fish, soup, poultry, seafood and all kinds of starters.